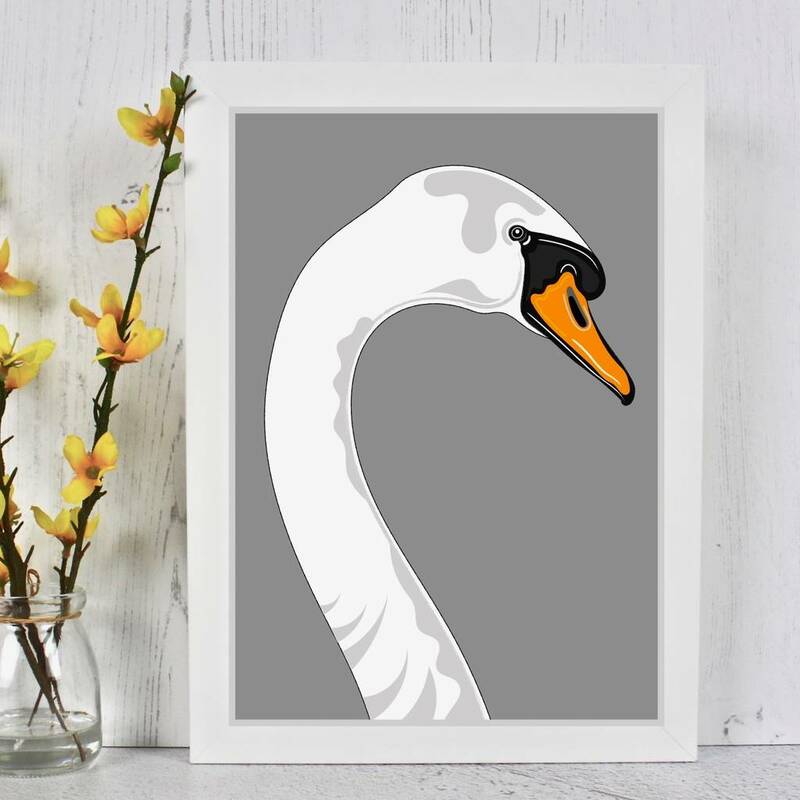 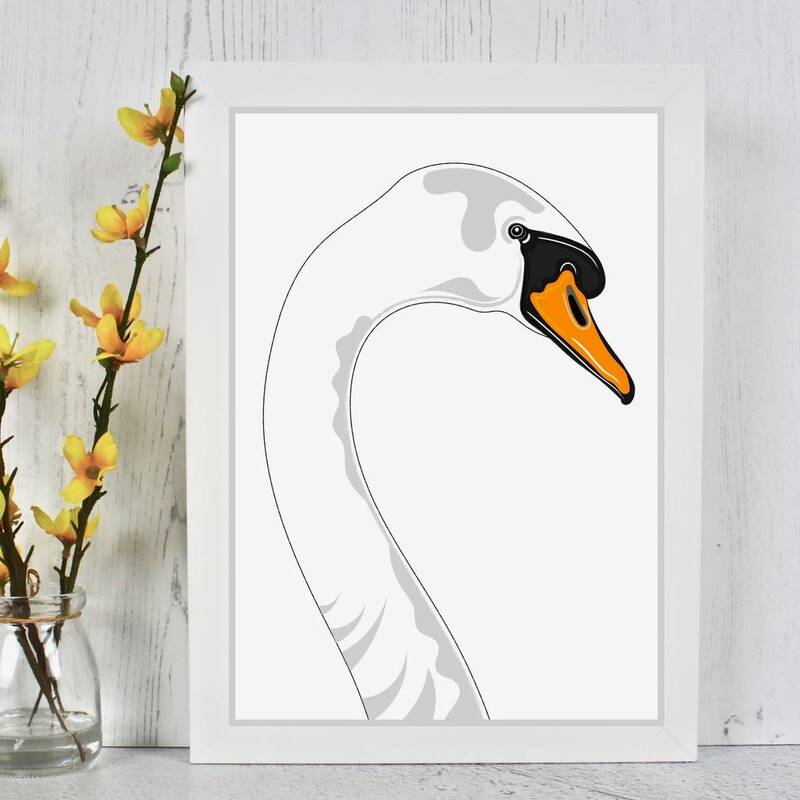 An elegant swan portrait art print in a choice of nine background colours and two sizes. This gorgeous swan print would add a splash of colour and style to any interior ! 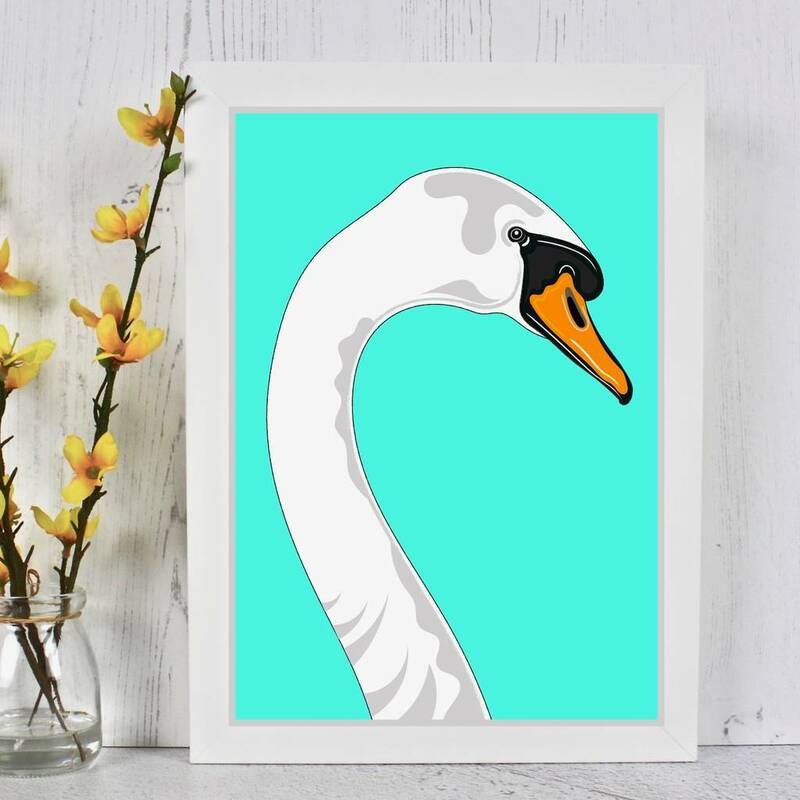 When placing your order you can choose the print size and your background colour using the drop down option menu on the right hand side of this product page. Available in white, pink, grey, teal, mint, coral, pale blue, dark blue and red.